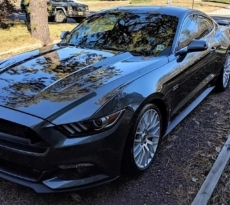 This Mustang of the Moment goes to M6G member Mandark and his 2016 Mustang GT. 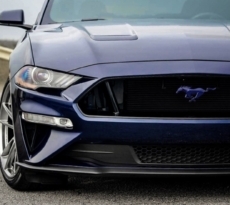 The most eye-catching customization of this Mustang is undoubtedly the beautiful Volk Racing OG TE37 wheels in Mag Blue which ties together this Magnetic S550 Mustang GT and its exterior modifications including APR Performance Splitter, GT350 track pack spoiler, OEM Shadow Black heat extractors, OEM blank deck lid panel, OEM pony and 5.0 badges and a series of Diode Dynamics interior and exterior lighting. Under all the dress up parts are some serious suspension components including Steeda progressive springs, front and rear sway bar kit, front camber plates, rear adjustable toe links, and billet rear shock mounts. This 2016 Mustang GT also has the Steeda IRS subframe alignment kit, rear differential bushing inserts and Steeda Tri-Ax Race Short Shifter. 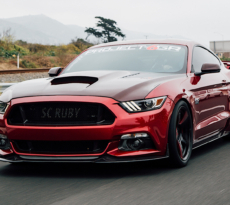 The Ford Racing Borla Sport Catback Exhaust gives this Mustang its aggressive muscle car sound. 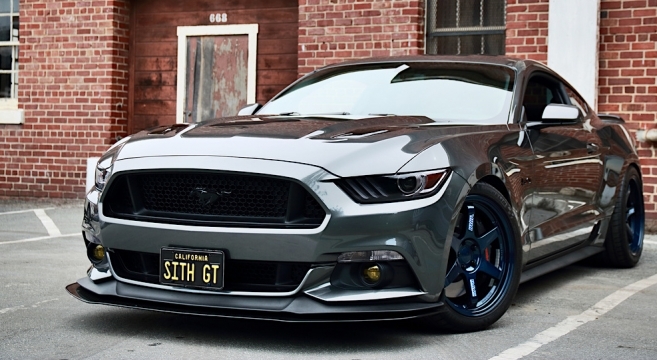 Check out Mandark’s 2016 Mustang GT full modifications list and build thread in our forums.